What do You Mean Kirin is Not Only Just a Great Japanese Beer? The Kirin is not just a great Japanese beer. 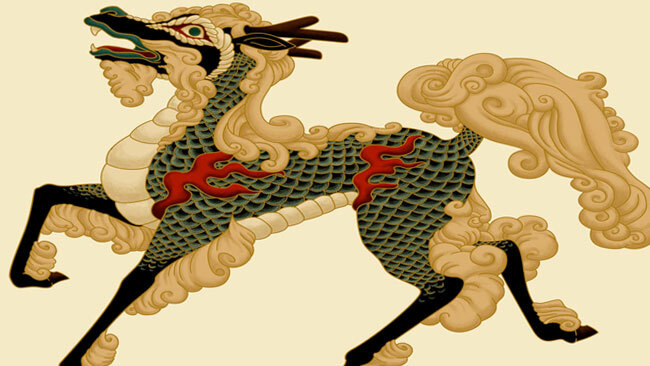 The Chinese mythological creature the Kirin, is an amazing creature to get tattooed as well. The Kirin is one of the most powerful and rarest unicorn-like regal animals of all. It is holy and highly revered, and often considered a god. The Kirin resembles that of a deer with the scales of a dragon. It's hair is flowing and has the tail of an ox. One of the most notable features of the kirin is the brilliant holy fire it is surrounded by. The face and horns are a thing of utter beauty and serenity. One of my favorite behaviors of this animal is that the Kirin never eats the flesh of other beings. The nature of the Kirin is to not tread on a living thing, even low level insects. It walks without damaging one blade of grass. This Kirin image is for nobles and enlightened rulers and it is said that the Kirin only appears in times of world peace. I love tattooing these beautiful creatures. If you would like to get one to adorn your body with, please go to my contact page and send me a message.